Immediate Disaster Response in a Ready to Go Duffel Bag. 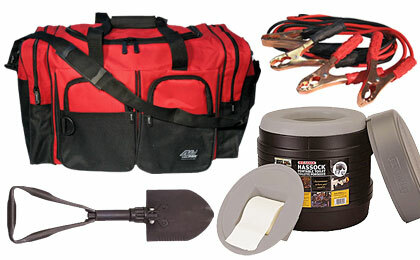 Homestead, Car kit or Search & Rescue rig, these are the tools you want at hand when disaster strikes. From search and rescue to emergency repairs, Fire Supply Depot has the equipment necessary for you to make, repair or craft whatever you need to stay alive and safe. Storage systems, cooking supplies, home safety kits and more are ready to take their place in your emergency preparedness plan.